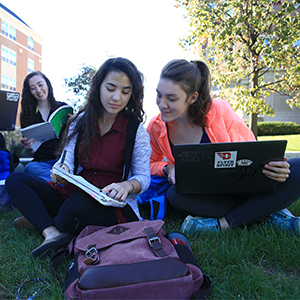 At the University of Dayton, our electronic and computer majors prepare for careers in industry at a variety of tasks including analog and digital design, microprocessor hardware and software applications, electronic controls, automation, engineering sales and support, product design and development, and data communications. The ECT curriculum includes a strong emphasis on computers and applied engineering topics in circuit analysis, analog and digital electronic design, digital communications, digital circuits, microprocessors, software, and data acquisition instrumentation. You'll receive a strong foundation in the basic principles necessary to support any future career studies or development as dictated by changing technology or career roles. Our Cooperative Education program allows students to work with companies such as AO Smith, Honda, Toyota, Fujitec, Battelle, YSI, LexisNexis and Naval Research Laboratories. We offer a variety of minors that allows you to explore your area of interest. - Courses selected may not be those already required for student's major. There is more than one way to start an engineering career, and engineering technology may be the pathway for you. 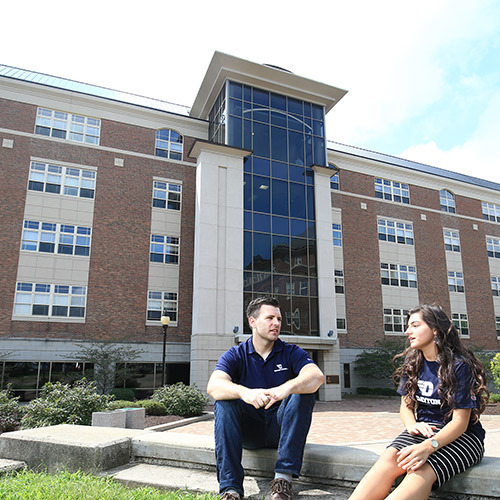 At Dayton, you will receive a strong background in applied engineering, integrated laboratory experiences and the implementation of design projects. To develop cross-functional skills and prepare you for success in this evolving field, our curriculum includes core courses in electronic and computer engineering technology and electives in other disciplines. As a senior, you will further develop your leadership, project management and technical skills as your multi-disciplinary team analyzes, designs and builds a system to solve a real-world problem. If you wish to expand your studies in a specific area, you can select courses or a minor in quality assurance or industrial, manufacturing or mechanical engineering. You may also pursue a certificate in the Integrated Arts & Technology program. FIRST® inspires young people to be science and technology leaders and innovators by engaging them in exciting mentor-based programs to build science, engineering, technology and life skills. The University of Dayton School of Engineering supports their endeavor with a $2500 renewable scholarship for students who major in electrical, computer, civil, discover (undecided) engineering or engineering technology. FIRST® Scholarship 2019 will be available in January. For more information, click here to contact Shawnee Breitenstein. Specializing in electronic and computer engineering technology to begin on August 16, 2019.